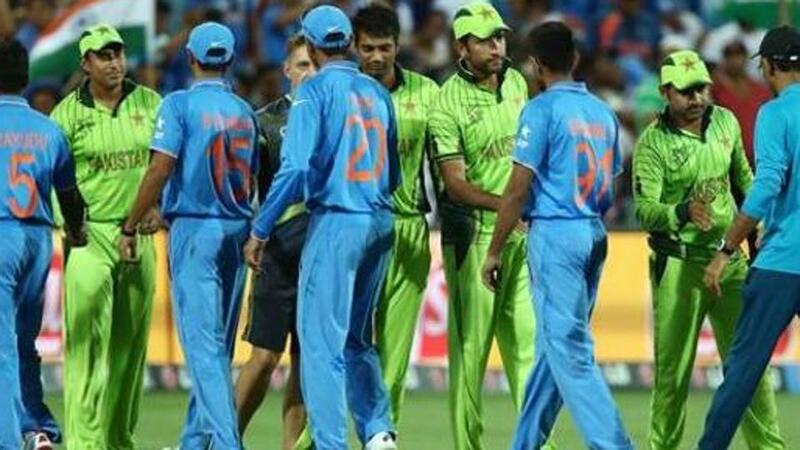 4th Match of ICC Champions Trophy 2017 will be played between the defending Champions India and Pakistan on Sunday 4th June at Edgbaston, Birmingham. While weather report may not be good for the fans; weather forecasted to be stray afternoon thunderstorm with shower. Match on Friday between New Zealand and Australia was also abandoned due to rain; hope that rain doesn’t affect the biggest match in cricket (or sport). Wicket is high scoring as seen other day match between Australia and New Zealand. Match between arch-rivals India and Pakistan is the biggest match in cricket. The most awaited game of ICC Champions Trophy is ready to make history. Tickets for this match were the first one to sell out. They will be playing ODI against each other after 2 years; last time they met was in 2015 Cricket World Cup, where India defeated Pakistan by 76 runs. Last time when Pakistan won in ICC events against India was in 2009 ICC Champions Trophy; after that India had won the last 6 meeting in ICC events against Pakistan. At Edgbaston, Birmingham India and Pakistan had met twice and both times in ICC Champions Trophy in 2004 and 2013. In 2004 Pakistan won by 3 wickets and in 2013 India won by 8 wickets. At Champions Trophy Pakistan had defeated India twice while India managed to do once. At ICC ODI events (ICC Cricket World Cup and ICC Champions Trophy) India had won 7 matches while Pakistan had won 9 matches. India had won ICC Champions Trophy in 2013 and is defending champions; and has also shared the trophy with Sri Lanka in 2002. While Pakistan is yet to win the trophy; they had not even in finals. This match doesn’t need any extra reason to win but, the win for India will also silence the controversies going on between the India coach Anil Kumble and skipper Virat Kohli. Shikhar Dhawan, Rohit Sharma, Virat Kohli, Mahendra Singh Dhoni and Yuvraj Singh will be first one to be in playing XI. Hardik Pandya will be the all-rounder with which Virat will likes to go; which will also give extra pace option in English condition. Ravichandra Ashwin will be lone spinner. Umesh Yadav and Mohammed Shami are likely to lead the attack with Jasprit Bumrah and Bhuvneshwar Kumar alongside. In Pakistan camp, worries have been escalated as Haris Sohail, Junaid Khan and Fakhar Zaman are injured and only twelve players are up for the playing XI. Mohammed Amir will be leading their attack and will be one on whom India will be keeping eyes on.